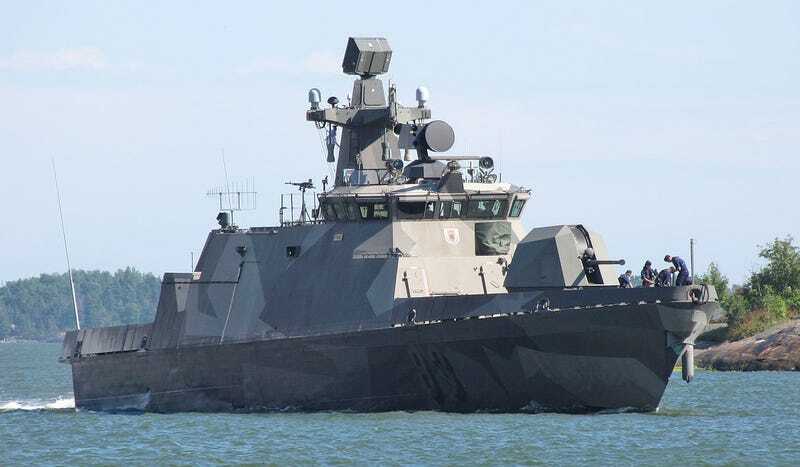 In an incident that is highly reminiscent of Sweden’s phantom sub hunt last fall, the Finnish Navy has detected a foreign sub in its littoral waters near Helsinki, and it is not playing nice trying to get rid of it. Depth charges have been dropped to let the sub’s crew know that the people on the surface are on to them. The unidentified submarine was detected yesterday and then again today, which triggered the Finnish Navy’s decision to use high-explosives in hopes of warning the intruder away. Finland shares nearly a 1,000 mile border with Russia, and tensions have been escalating as Russia’s military activities have dramatically increased in the region. This escalation has forced neighboring Nordic countries, some of which are not formally aligned with NATO, to work together in a closer manner militarily in order to deter Russian aggression. This is something Russia has not taken kindly to. Helsinki is just over 175 miles from St. Petersburg, Russia. Multiple diesel electric submarines are based there, including ‘midget’ submarines, a few Kilo Class submarines and Russia’s most advanced diesel submarine in their entire fleet, the Lada Class Saint Petersburg. The Lada Class combines Russia’s most up to date combat systems and noise dampening technologies with an air independent propulsion (AIP) system. AIP capability allows the submarine to run in near silence, deep under the surface, for many days, and even weeks, at a time. Is This Jumbo Diesel Electric Submarine A True Nuclear Alternative? The complex littorals off the Finland’s southern coast are notoriously complex to navigate and very easy to hide in, with heavy shipping channels clearly established. These features makes them ideal hunting and spying grounds for these kind of submarines, thus the perfect place to train their crews. Whether or not the object detected was of Russian origin remains unclear, although it is highly likely.